Best cruiser bikes are one of the most popular bike types among bicycle lovers. Another famous word for this bike is also called beach cruiser. The reason why they are so popular is because they allow a stable ride and are quite simple to ride as well. Its heavy weight sometimes proves to be difficult as it makes the bike rather slow at times. These are the bicycles you can take out for a casual stroll around your neighborhood. The functionality of these bikes works best on paved roads and for shorter or moderate distances. They are not meant for racing purposes or riding on hilly areas that require great grip and control. Also, even though this bike isn’t made particularly for exercise but still it will help you burn a lot of calories. Its comfort factor will encourage you to ride for long distances on a daily basis. Going deeper into its features will help get a good idea of what the bike is and how will it be an advantage to you when you buy it. Before that, let us have a look at some of the best cruiser bikes out there. 2 What are Beach Cruiser Bikes? 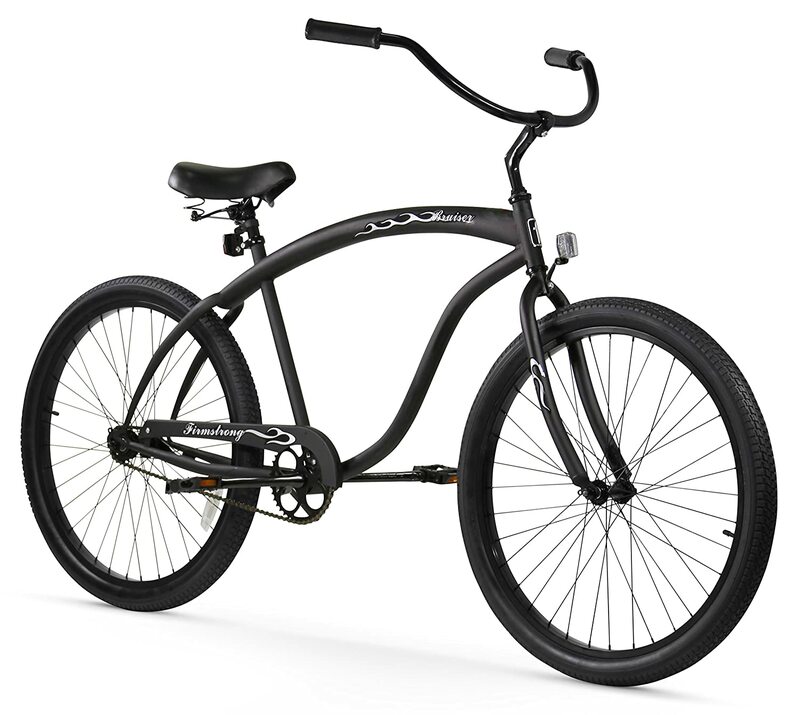 These cruiser bike reviews should help you find the right bike from a vast selection of best beach cruiser bikes. At the least, the list should give you a strong idea about what kind of bikes beach cruiser bikes are. 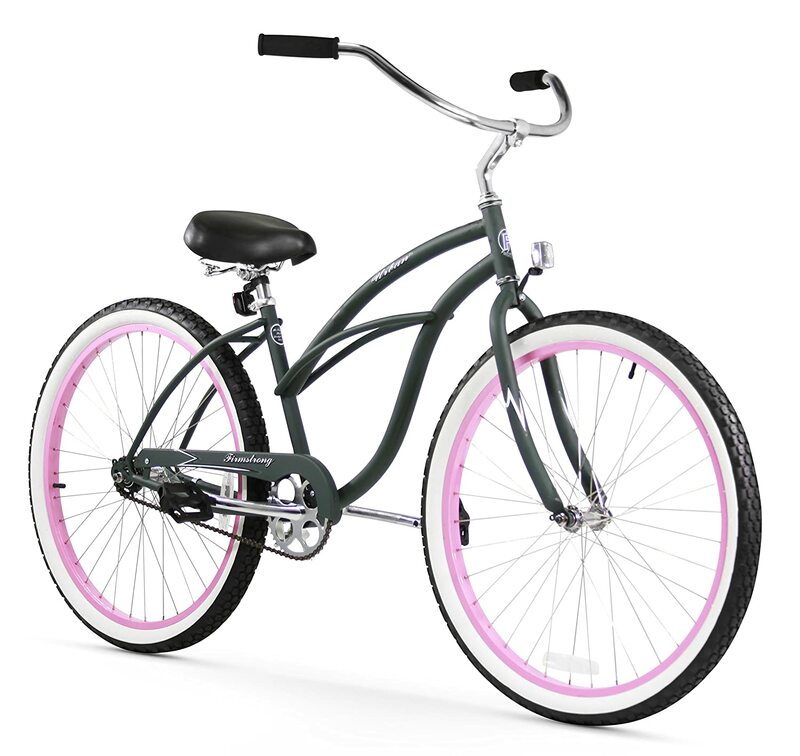 Let us have a look a great selection of best cruiser bikes for women. As you will notice, these are not very expensive bikes. Yet, their comfort factor is significantly high. 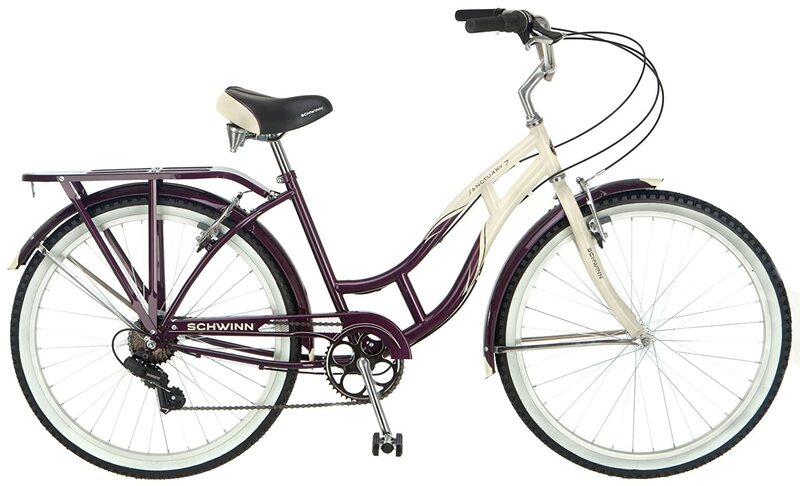 Schwinn has manufactured this bike exclusively for women. The frame and fork are designed in a way that it ensures a comfortable riding position to the rider. 7-speed twist shifters with rear derailleur allow the user to shift gears quickly and at the same time gives her extensive control over the speed. Alloy V brakes are not only easy to maintain but also provide instant stopping power. The seat is padded to avoid any pain even when on long rides. Fenders are there to protect the rider’s clothes from dirt and water splashes. This feature works particularly best in cases of women who are always conscious about their attire. Customer reviews were great. The seat and overall ride are comfortable. However, there were a few drawbacks. They found the handlebars too hard to handle and gears weren’t easy to shift. 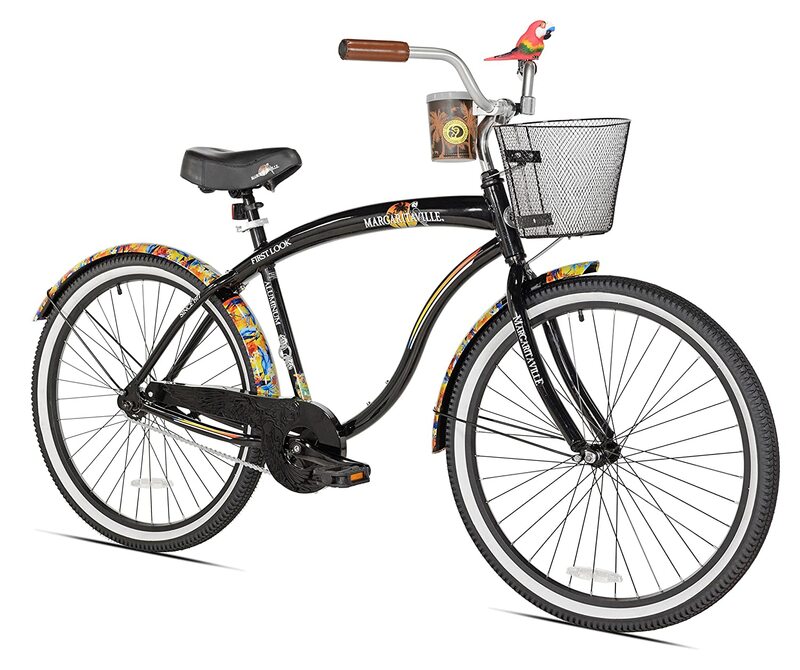 This Schwinn’s women exclusive bike has a steel frame and fork. Steel is a high-quality material which ensures the durability of the frame. Full fenders are attached to protect the rider’s clothes from dirt and splashes. This is especially an attraction for women users for obvious reasons. 7-speed derailleur and twist shifters make it super easy to change gears and also let the user keep firm control over the bike as well as its speed. Alloy rims have been used because they are both lightweight and sturdy. The bike’s saddle has been padded to give ultimate comfort to the rider. It has springs so that the harmful effects of shocks and bumps are minimized. One of the best cruiser bikes in terms of looks. 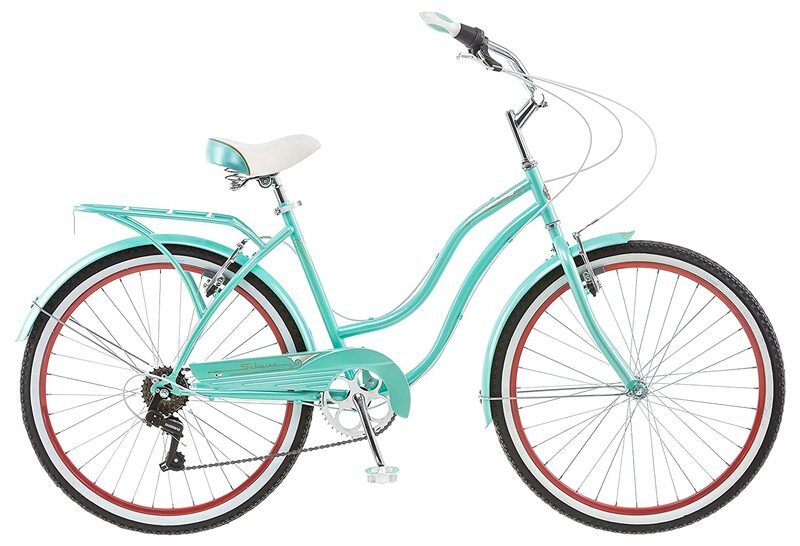 This beach cruiser bike is made exclusively for women, and the subtle color combination speaks for it. 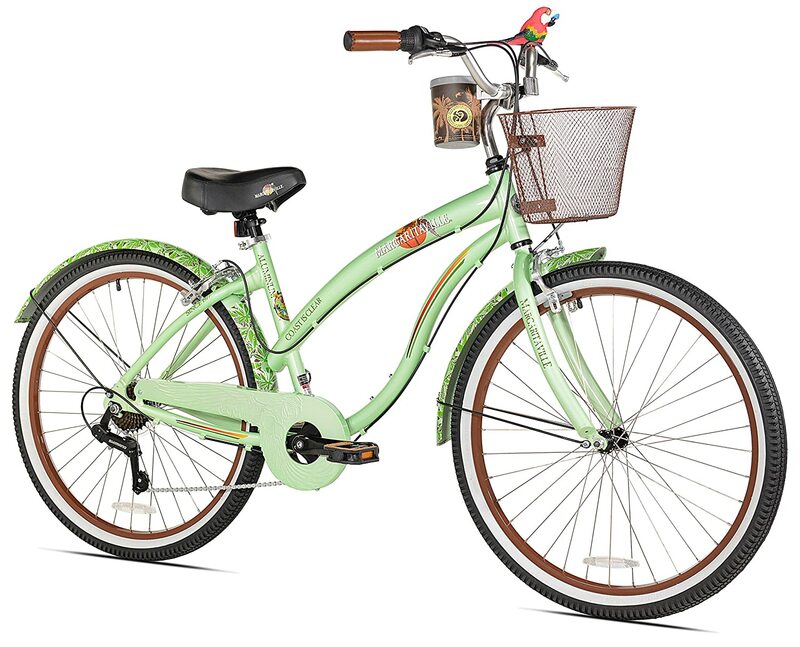 Margaritaville has chosen an aluminum frame for this bike because it is lightweight and easy to ride on. The lightweight of the bike makes it easy for riders to carry their bike around. Shimano 7 speed drivetrain with Revo twist shifters allows the user to change gears quickly and from a variety of options. A variety of gear speed options gives better control of speed. Alloy pull brakes have been added both at the front and back. High-rise handlebars mean an upright riding position is maintained. Rider, therefore, doesn’t have to bend or lean forward. Lastly, the padded seat is soft and comfortable to sit on. This combination of strong yet comfortable features ensures that rider enjoys her ride throughout. This classic cruiser design by Sixthreezero is made to give a comfortable ride to its user. It comes in a variety of colors ranging from dark blue to burgundy, orange and even pink. These attractive colors are there to give a style statement to the women who decide to purchase it. Keeping in mind the gender requirements, fenders have been added to prevent dirty water splashes from destroying rider’s clothes. Shimano seven speed hub with Nexus shifters allows the rider to shift gears quickly. Seven-speed gear options make it easy to maintain different speed on different terrains. Tires are broad and therefore maintain a better grip on the ground. The saddle too is wide to spread the body weight and ensure a comfortable sitting evenly. The seat further has dual springs in order to absorb all sorts of shocks and bumps that may arise on the way. Handbrakes have been attached both at the front and at the back to give instant stopping power. The bike, overall, is good for riders of heights between 5’4” and 6’4”. Users were extremely satisfied with the bike. Everything about the bike was perfect, and girls loved it. 84 percent of the users gave it a full 5-star review. 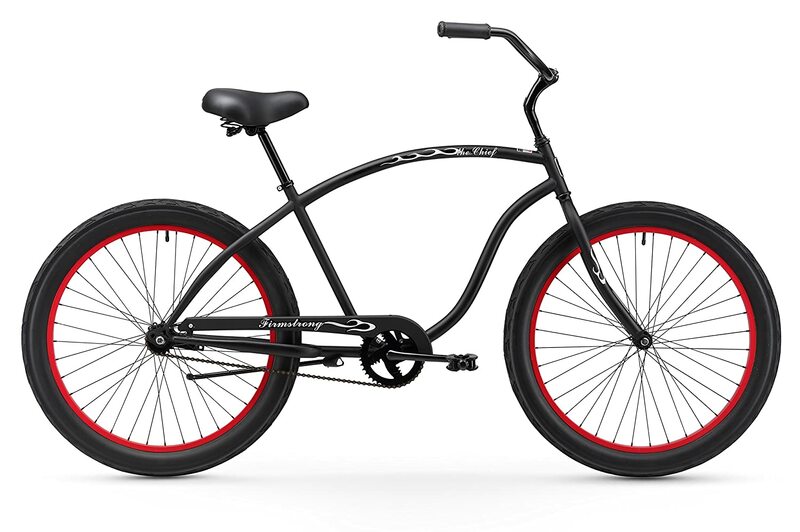 This 26-inch cruiser bike is ideal for casual riding and looks quite attractive too. The bike comes in 3 different gear options that you can decide depending on your terrain. You can choose between single speed, three speeds, and seven speeds. The seat may seem oversized, but that is due to the double coil springs attached. Those springs absorb all shocks and ensure a smooth ride. Wide tires do the same job of absorbing bumps and allowing for an effortless ride. The frame is made of steel as it is strong and durable. Handlebars have rubber grips, so the rider’s hands don’t slip in between and the metal doesn’t irritate them. It is available in 13 different colors. Customer reviews regarding this bike were impressive. The bike was easy to assemble too. Everyone who used it enjoyed riding. 87 percent of them gave it a full 5-star review. 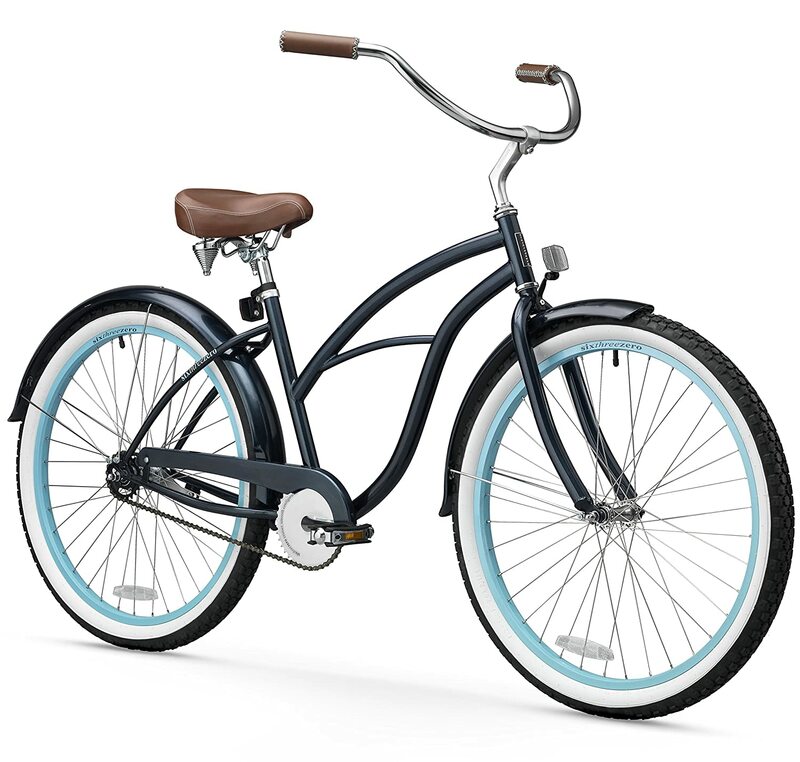 Men’s cruiser bikes follow the same standard of comfort as is found in women’s cruiser bikes. Similarly, they are not very expensive. Kent has manufactured this beach cruiser bike exclusively for men. 7-speed gear options give a good control over speed and rider can take the bike out on different terrains. Cruiser bike frame is made of good quality material and has a sturdy look to it. Apart from strength, the bike has a classy and retro look which attracts a lot of people. Handbrakes have been added both at the front and at the back to ensure full safety of the rider. Enclosed chain cover comes as an advantage because the rider no longer has to worry about his shoelace getting caught or grease getting in his pants. This 26-inch bike is made exclusively for men. It ensures that the rider enjoys his ride and relaxes. The classic design has a steel frame because of its durability. The 26-inch wheels are made of aluminum. Aluminum has been chosen because it is lightweight and doesn’t make the bike that heavy. Coaster brakes have been attached which are really easy in terms of its usage. The seat has dual springs added beneath which absorb shocks and therefore gives a comfortable ride. Handlebars have foam grips which makes it easy for the user to maintain a good grip throughout the ride. Riders of height between 5’4” and 6’2” can easily use the bike. Customers were extremely satisfied and loved all the features of the bike. A wide range of electric colors like red and blue lifted the overall look of the bike. As a result, 83 percent of them gave it a full 5-star review. The bike is exclusively targeted at the cruising needs of men. It is a great blend of simple and modern look. The distance from the handlebars has been set such that rider is able to comfortably stretch his arms. The bike is offered in single, three speed and seven-speed models. It then is up to the user’s decision which bike he prefers. Seats with double coil springs give maximum comfort to the rider by absorbing shocks and bumps. It is available in a variety of colors ranging from matte black, yellow, white and matter army green. All colors perfectly complementing the male gender. Overall, the bike ensures a smooth ride on paths and street like terrains. Customers were happy with the classy look of the bike and smooth riding. The assembly process was quite simple and didn’t require much time. On a whole, about 81 percent of them gave it a full 5-star review. 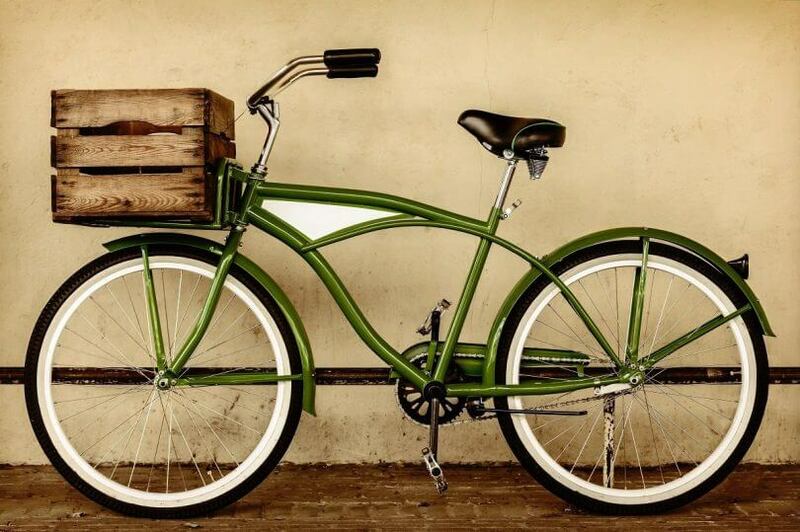 This men’s beach cruiser bike has a personality and character to it. It has an aluminum frame which is lightweight and strong as well. Coaster brakes have been added which are really easy to use and ensure full safety of the rider. Handlebars are designed at a height to give an upright riding position to the rider. This upright position doesn’t cause any back pain to the rider. The seat is padded with cushions to give maximum comfort to the rider even for long hours. All these features are added to make sure that the rider is happy and enjoys his ride. Firmstrong has manufactured this bike exclusively for men. The frame is designed in a way that it makes it ideal for tall riders. Forward pedaling design allows the user to properly extend his leg and ride smoothly. The frame is made of steel which is both strong and durable. Aluminum wheels are wide and provide a good grip on the ground. This particular bike can be used even on rugged terrains. Users of height between 5’4” and 6’4” can easily ride this bike. Customers were happy with the classy bike look and its affordability. 80 percent of the bike came assembled due to which assembly process was easy and didn’t take much time. Most of the users gave it a full 5 star review. What are Beach Cruiser Bikes? Best cruiser bikes have a distinct set of features. From the handlebar to tires, everything about them is unique. As these bikes are not something that are designed for the purpose of racing or tournaments, their components are more aimed toward the promotion of comfort than speed. Talking about tires first, they are important because they will depict the speed and grip of the bike in general. Best cruiser bikes have extra wide and smooth balloon tires. The tires are wide because they have to be used on smooth surfaces like beach and sand. The weight of the tires, however, acts as a hurdle and makes the bike’s speed rather slow at times. 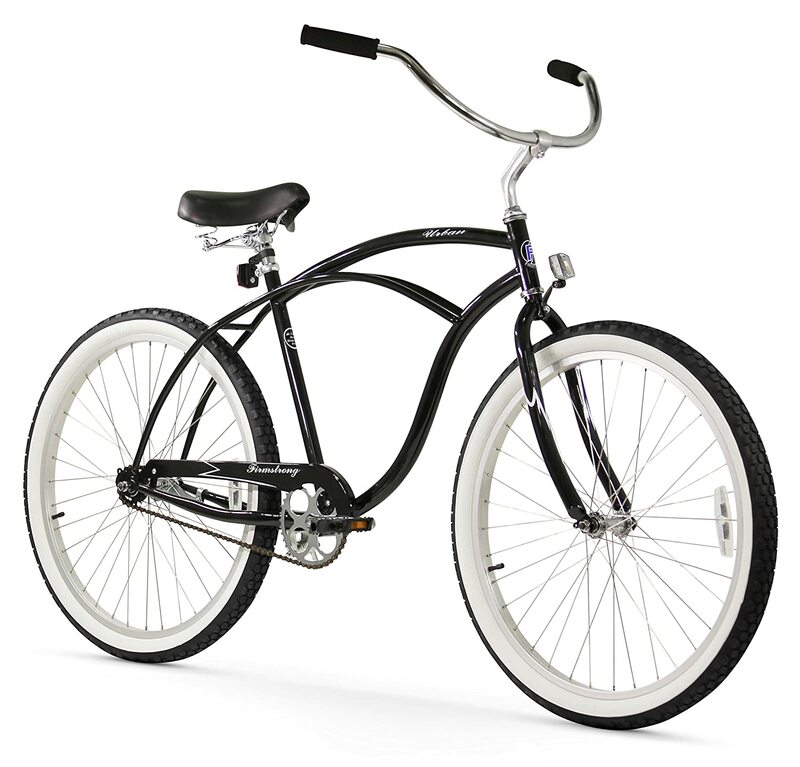 Cruiser bikes have upright handlebars that give an upright riding position to the user. This position makes longer rides much easy and comfortable to handle. This particular feature is very important because this is that one part the rider is in constant contact throughout the ride. No matter how faultless the bike is, if handlebars aren’t designed well then the ride will just fail in giving comfort. Best cruiser bikes have a design such that it encourages the rider to sit in an upright position and evenly spread the body weight instead of straining just one or two parts. In a leaning position, the rider has to put the strain on his/her arms and hands in order to maintain the hold. In cruiser bikes, no other part gets strained. The rider enjoys his/her ride throughout the journey and doesn’t suffer from any sort of back pain. In fact, after some time of continuous usage, the rider will get used to sitting upright even when he/she is not biking. Movement on cruiser bikes is quite smooth, and there are no sudden jerks. The rider moves gently which is beneficial for the body. In some cases where people suffer from injuries and doctor prescribes a gentle movement to heal, in such cases cruising proves to be a perfect solution. It helps to maintain a continuous and smooth body movement, which eventually helps in healing. Cruiser bikes have large and wide seats with a lot of cushioning to give maximum comfort to the rider. This cushioning comes as a huge advantage because it covers other downsides that may be there on the bike. As long as the rider feels good sitting on the bike, he/she will enjoy it for a long time. Cruiser seats also have a suspension system beneath it. This suspension system absorbs all the shocks and bumps which arise on the way, giving ultimate rider comfort as well as safety. Single speed best cruiser bikes have no gears whereas multi-speed bikes have speed shifters. Single speed bikes basically user coaster brakes instead of the hand ones. Multi-speed bikes have powerful brakes with multiple gear options. Single speed cruisers are therefore perfect for flat roads and shorter distances. The other kind can be used for different terrains. Either way, speed shifters with multiple gear options proves to be the best option. This way the rider is able to have a better control over the ground and above all, the speed. 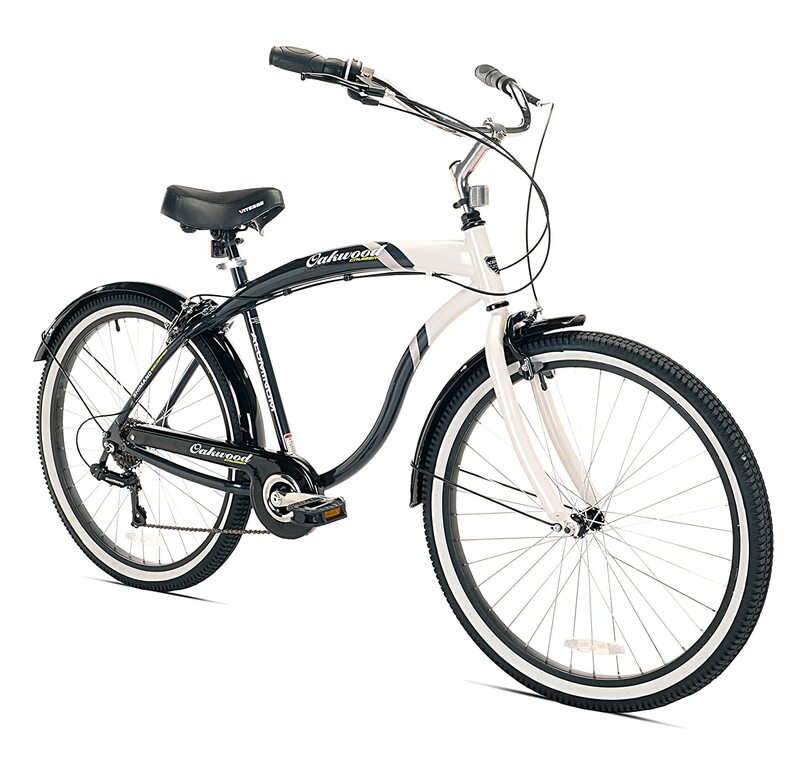 Since beach cruiser bikes are mostly used around beaches and similar terrains, most of them have pre-installed fenders. These fenders are an added advantage because they work aside from affecting the functionality of the bike. They are there to protect the rider’s clothes from any dirt or water that otherwise would straight away splash on his/her pants specifically. This particular feature is mostly of great attraction to women as they no longer have to worry if they are wearing their best clothes for the ride. Cruiser bike frames are made of steel, alloy or aluminum. Steel is used because it is durable and cheap priced. Aluminum is used because it is lightweight. However, the cost is high. Metal alloy frames are durable and have a longer life. In the end, the decision lies in the hands of the manufacturer who chooses according to their budget. Cruiser bikes are also sometimes referred to as people’s bike. They are ideal for sidewalk rides or on country roads. In any way, these bikes aren’t designed for a rough usage like that of mountain bikes. Since the basic features are pretty simple, they do not cost users a great deal. They can be bought for as low as $100 and then depending on additions may even cost above $500. Schwinn was the company that worked towards the development of this bike in the US. 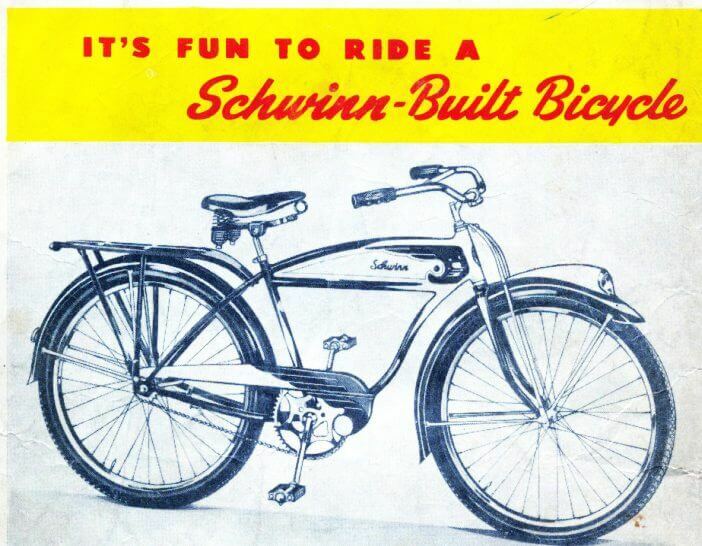 In 1933, Schwinn put forward a motorbike named B-10E. This only had the name motor but in actual it was just a bike. In 1934, this design was relaunched with minor changes and that defined the cruiser bikes look that we see today. All throughout the 30s and 40s, cruiser bikes gained immense popularity. Heavyweight, single speed mechanical and wide tires highlighted the bike features then. Paperboys and bicycle couriers were the ones who used these bikes on daily basis. During this time, many other brands stated to come up with their designs in order to compete with cruisers. As expected, time was not all good for cruiser bikes. Following the start of the 50s till early 60s, imported bikes from Britain and Europe took the market by storm. These bikes had massive improvements which are why they quickly topped the sales figures. They were much lighter and had narrower tires which produced a greater speed compared to best cruiser bikes. Even after being obsolete, by late 60s cruiser bikes still were in use for their recreational purpose. At this time, in 1976, the name “beach” cruiser was given to these bikes. In early-mid 1990s, cruiser bikes gained the same old popularity. The main reason for this was when Schwinn introduced their best beach cruiser bike named Black Phantom to celebrate their 100th anniversary. Along with this Harley Davidson, a renowned motorbike brand allowed their logo and styling on a cruiser bike. This stirred up great interest among bike lovers. The buyers mostly belonged to the mid 50 aged people who mostly looked for comfortable rides and also Generation X people that were attracted by the low price. The popularity has grown so much that now every bike brand offers cruiser bikes, either a model or a whole series. Many cycling clubs also use specifically best beach cruiser bikes in their advertisements and print ads. If you are planning to buy a best beach cruiser bike then worry no more because this article will give you an in-depth analysis of the entire cruiser bike features along with the products that are being offered. Brands like Schwinn, Roadmaster and Sixthreezero have manufactured their own cruiser bikes. This product by product analysis will surely help you to make the final decision. If you are looking for a bike simply for leisure riding around your neighborhood, then you have to go for the cruiser bikes. Unlike other bikes, these bikes do not serve a particular purpose. They are not utility bikes. They have only one purpose, to provide exceptional comfort for leisure riding. The best cruiser bikes can be found for both women and men. The difference is usually in the geometry and size of the frame. The comfort factor remains the same for both genders. BestEnthusiast.com is a participant in the Amazon Services LLC Associates Program, an affiliate advertising program designed to provide a means for sites to earn advertising fees by advertising and linking to amazon.com. Amazon, the Amazon logo, AmazonSupply, and the AmazonSupply logo are registered trademarks of Amazon.com, Inc. or its affiliates.